Anglim Gilbert Gallery is pleased to present The Mountain and Me, an exhibition of new paintings and a video projection by Anne Appleby. For this, Anne Appleby's 12th exhibition at the gallery, the artist presents a body of work featured this past spring at the Tacoma Museum of Art. In The Mountain and Me, she offers a powerful, nuanced account of evolutions in the natural environment of her home in central Montana. Appleby’s 360 degree, 365 days-a-year observations encompass distant views of the rising mountain forms, as well as the finely tuned abstractions derived from specific tree species and the effects of climate change. Anne Appleby’s intent focus on the landscape of central Montana, including the Elkhorn Mountains, is made tangible in her luminous, pigmented canvases. Appleby’s process of intimately observing the sweeping mountainsides and tree species indigenous to her surroundings reveals itself in abstract compositions that capture the quietude and monumentality of the natural world. This duality is captured in Appleby’s Mountain Paintings and Ghost Trees, two critically-acclaimed bodies of work that deftly recall the seasonal shifts in thickets and desert expanses. 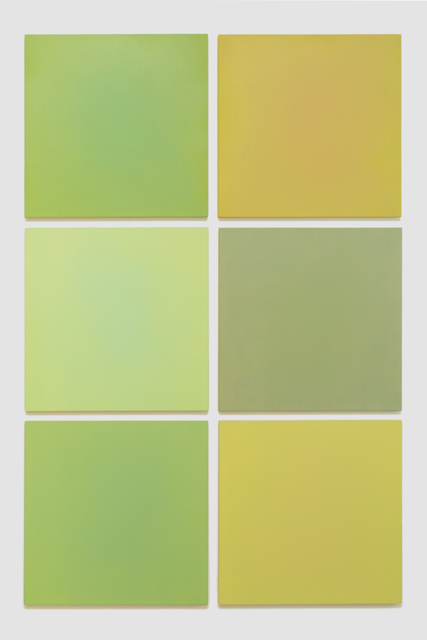 Her multi-panel works are characterized by a subtle palette and tonal range that reflect Appleby’s innate understanding of how light, color, and form are optically experienced. Clusters of tree groves and shadows appear in soft focus, allowing the viewer’s gaze to slowly drift across the painted surface, observing the work in a mode similar to Appleby’s personal vision of the landscape around her. Moving Trees, Appleby’s first video work, further emphasizes the tension between the magnificent stillness of winter and the overwhelming power of nature. For the artist, the gently falling snow and the slow movement of the trees represent beauty that may be found in the inevitability of change. Anne Appleby studied and maintained a studio and presence in the Bay Area for many years, and now works from her studio in Montana. The recipient of the Louis Comfort Tiffany Foundation Award, the SFMOMA SECA Art Award and the Pollock-Krasney Award, the artist has had recent exhibitions in Santa Fe, Amsterdam, London, New York and the Portland Art Museum. Appleby’s works are featured in major public collections including the Albright Knox Museum, SFMOMA, the DeYoung Museum, the Seattle Art Museum, the Henry Art Gallery at the University of Washington, the Berkeley Art Museum, the San Jose Museum of Art and the Boise Art Museum.